Meadowood Bird and Butterfly Big Sit! I have to admit I haven’t been very diligent about watching my yard for migrants, but I have seen a few – a Common Yellowthroat has been the highlight so far. We were also visited by a quartet of crows, possibly on the move, I guess. They are unusual visitors to our garden, although of course we see them in the air all the time. They didn’t make a peep, so I can’t tell you what kind of crows they were. So big and glossy! Although at least one must have been a youngster since it was being fed tidbits by a presumed parent. Special thanks to Dixie Sommers for her energy and leadership getting out an updated version of our Mid-Atlantic checklist, and thanks to contributors Tom Blackburn, Greg Butcher, Greg Fleming, and Laura McDonald. Much needed—we hadn’t updated it since 2006! Dixie and team have also issued a new version of our Northern Virginia checklist. Join Audubon Society Northern Virginia and Meadowood BLM staff from 8 AM - 4 PM on Saturday, October 7. We'll be at our count circle by the pollinator garden located at the Mustang Loop Trail parking lot (10702 Harley Road, Lorton, VA 22079; at the intersection of Gunston and Harley Roads) recording all the birds seen and heard. As a bonus we'll note any butterfly species that we see too! The Big Sit! is like a Big Day or a Bird-a-thon—to tally as many bird species that can been seen or heard within a given period of time. The difference lies in the area limitation from which you may observe—it's like a tailgate party for birders. Bring a chair and your binoculars, snacks will be provided. You may also join us on a guided bird walk or participate in a kid friendly activity. The bird walks will originate at the count circle at 8:30 AM and 10:30 AM. This event is FREE of charge and open to the public. For more information, watch a video about the Big Sit! We have updated our Northern Virginia and Mid-Atlantic Area bird checklists. Both are available on our website including information on their use and how they were created. The checklists now use the newest information from the American Ornithological Society (AOS). These include changes in common and scientific names, splits and “lumps” of species, and changes in the order in which the species are presented. The most recent AOS update was published in July, with one species change affecting our area: Thayer’s Gull was combined with Iceland Gull, making Thayer’s a subspecies. Just in time for Halloween! Vultures are often overlooked, underappreciated, and unloved, despite the vital role they play healthy ecosystems. 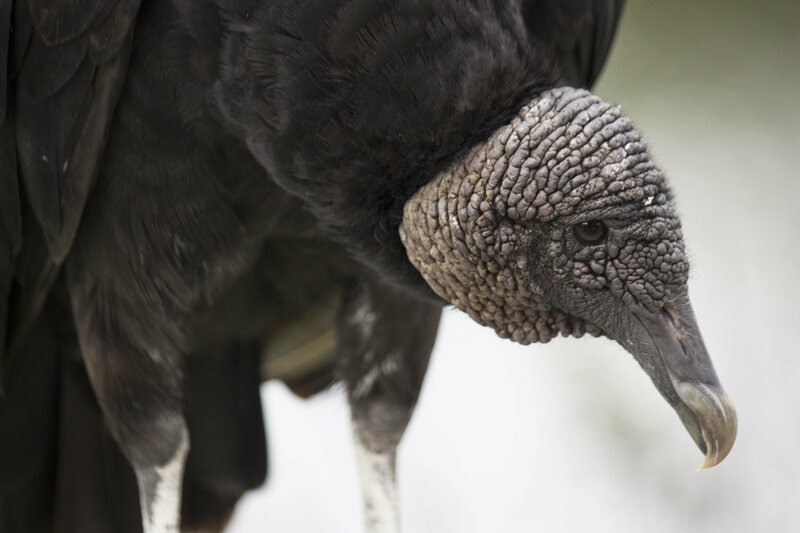 Worldwide, vultures are more likely to be threatened or endangered than any other group of raptor, but in the United States turkey and black vultures may be increasing in number. Based on Katie Fallon’s new book, this presentation will discuss the life and times of the noble turkey vulture, including its feeding, nesting, and roosting habits, migratory behaviors, and common misconceptions. Join us for the 118th annual Christmas Bird Count (36th for ASNV). We are looking for people to count in the Manassas Battlefield area, Bull Run, and Manassas City areas as well as around Centerville, south of Dulles Airport, and Chantilly on Sunday, December 17th. This year, we will again be offering an opportunity for feeder watchers. If you or someone you know lives in the count circle and cannot go on the count, he or she can sit inside and count the birds that come to a feeder or yard on count day as another way to participate. If you helped us last year, your sector leader will be contacting you in November. If you are new to our CBC and want to volunteer or would like to be in a different sector, click here. Come to our free CBC Workshop where you can learn about CBCs generally, our own CBC in particular, where the data goes and how it is used, and tips for learning or brushing up on your counting skills. It’s on Thursday evening, November 2nd . Time is 7 PM; place is the NWF building, 11100 Wildlife Center Dr, Reston. Please sign up here. Save the date, December 2 for the Virginia Conservation Network’s annual gathering in Richmond to prepare for the 2018 session of the Virginia General Assembly. Experts will brief volunteers on expected pro- and anti-conservation legislation. Visit www.vcnva.org . And heads up—VCN’s annual conservation lobby day will be January 22, 2018. There will no doubt be many changes in the state government, with a new governor and some new legislators. It’s never too early to get involved and to educate candidates about conservation and the value of our natural resources. On November 7, Virginians will elect a governor, lieutenant governor, attorney general and all 100 members of the Virginia House of Delegates. To learn more, including candidates who have filed, visit Virginia Elections. Wolf Trap is more than music! We’ll follow the trail along the park’s streams and hills, as well as birding the pollinator meadow. John Lovaas and Jean Tatalias lead. Sponsored by ASNV, Wolf Trap National Park, and the Friends of Wolf Trap. Enjoy a leisurely walk around the creeks and central wetland of this beautiful park with field edges and majestic trees. Jean Tatalias leads. Sponsored by the Northern Virginia Bird Club. What a beautiful time of year to walk through the woods and enjoy autumn birding! Jenny Vick leads. Sponsored by the Reston Association and The Bird Feeder of Reston. Getting there: From I-66 west, take exit 60 to go north on Rte 123. Turn left on Hunters Mill Road/ Route 674. Turn left on Lawyers Road, Route 673. Turn right on Twin Branches Road. Turn left on Glade Road. Follow Glade to just past Soapstone Dr and park at Glade Pool on the right. 11550 Glade Drive. Our route will take us past fields and into mixed forest. Different terrains should yield a good variety of species. Toby Hardwick leads. Sponsored by ASNV. Getting there: Travel west on I-66 to Exit 47B, Route 234 North (Sudley Road). Proceed past the turnoff to the visitor center and turn left on Route 29 (Lee Highway). At the west end of the park, turn left (South) on Pageland Lane. Look for the left turn to the Park Headquarters and Stuart Hill Center parking lot. We’ll walk the wooded trail around the edge of the lake and then drive to the boat ramp to check the lake there. Jean Tatalias leads. Sponsored by the Northern Virginia Bird Club. Join the Friends of Theodore Roosevelt Island for a bird walk led by Dixie Sommers as part of a daylong celebration of the 50th anniversary of the island's dedication. Co-sponsored by the Audubon Society of Northern Virginia. Registration required. See site for location and registration. Register here. Our trip is through Holbrook Travel. Details and how to sign up are here. 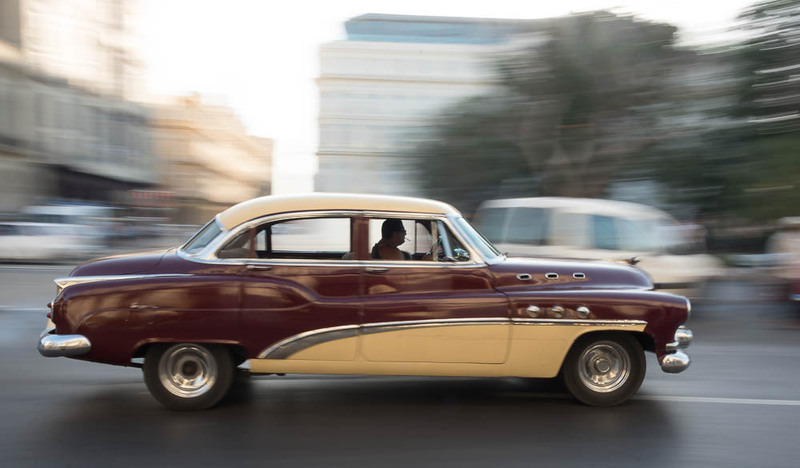 Wondering about the President’s change in U.S. policy toward Cuba? Holbrook reviews the details here.